When it’s cold outside, we rely on our houses to protect us from the weather, but when a heating system fails, living conditions can get miserable pretty quickly. The certified team at Wayne Bryant Heating and Cooling is dedicated to helping fix our customers heaters and restoring their home to comfort. Heating systems, whether they are ductless, furnaces, heat pumps or other arrangements consist of many parts that age and wear over time. When the temperatures drop, and the system is forced to work harder than usual, small problems can become significant quickly. While each heating repair situation is carefully analyzed, there are some problems we often see including ductwork blockages and restrictions, dirty filters, faulty igniters, cracked heat exchanges, and burned out motors. 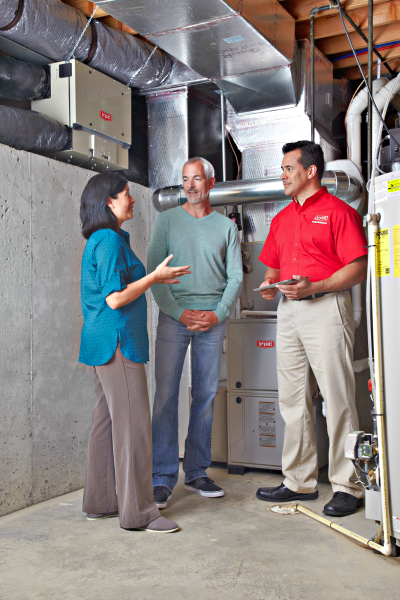 We combine the newest technologies with years of on the job experience to quickly diagnose your heating problem. Our team will carefully and comprehensively diagnose your system and do our best to present you with multiple repair or replacement options. As a family-owned company, we do our best to treat our customers like they are family members as well. We do this by offering fair pricing, upfront explanations and solutions for problems, and being on call 24/7. This can be especially important if your heat goes out during a winter cold spell. If you suspect that your heat is not working properly, please don’t hesitate to contact us ASAP. We are available via call, text or email and will always do our best to answer or respond promptly, including nights and weekends. Wayne Bryant Heating and Cooling is proud to serve Fuquay-Varina, Garner, Holly Springs, Willow Spring, Angier, Lillington, Apex, Cary, Clayton and the surrounding areas of Wake, Johnston, and Harnett Counties.